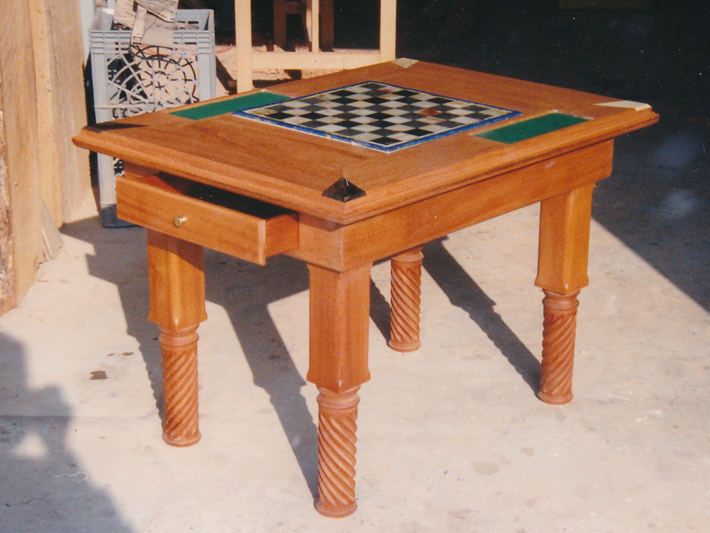 This table was built to accommodate a special stone chessboard bound in lapis lazuli that the owner had acquired on an adventure in Afghanistan in the early 1970s. 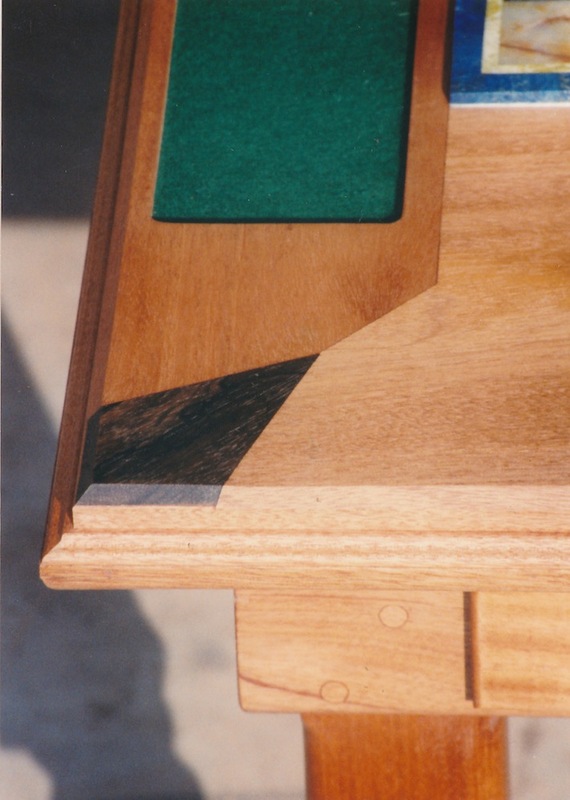 The piece is constructed of Brazilian mahogany with ebony and holly inlays and features inlayed felt pads for downed chess pieces and drawers on each end to house pieces when not in use. Finish is clear marine varnish.